Spent the day riding the Adelaide hills, as I read somewhere you can point the front wheel in any direction here and you can't go wrong. 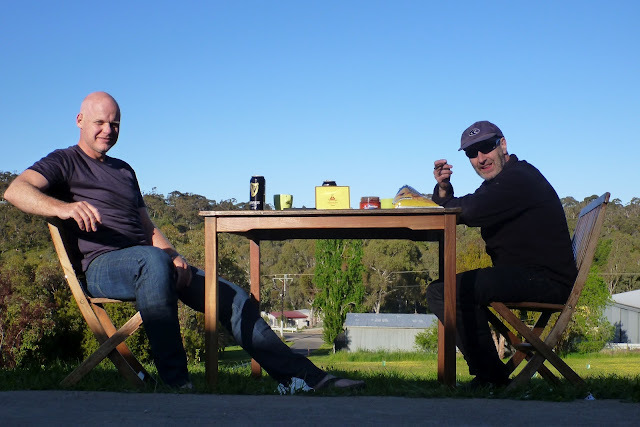 The Gorge road was spectacular and was capped off with breakfast at Cuddlee creek. 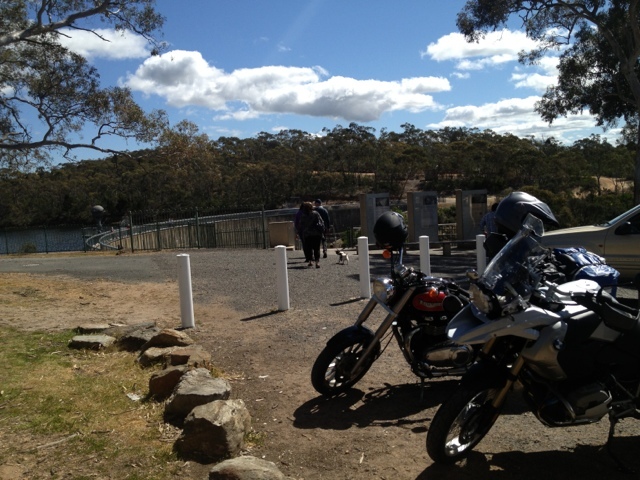 Then on to a few more roads including dirt in and around the Barossa. Popped in to see the whispering wall. 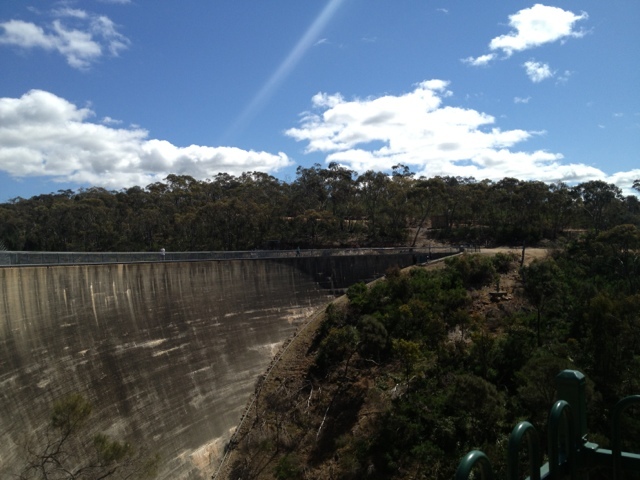 Pretty cool, it's a dam wall that you can stand at one side and clearly hear someone talking at the other side 150m away.